This is without doubt the most blight resistant tomato we’ve ever seen. The only variety to come through our blight trial totally unscathed, it is resistant to early and late blight as well as cracking, verticillium and fusarium wilt. 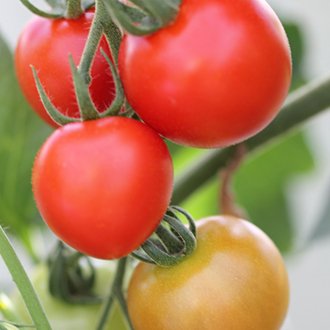 Some blight resistant varieties can be watery and lacking flavour, however these fruits are sweet and succulent with a high sugar content and real tomato zing. Indeterminate.